Why Would A Hazara Quit Pakistan? 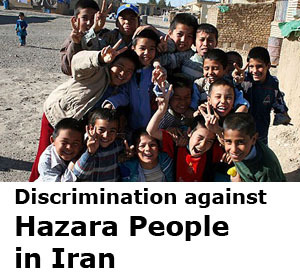 You are at:Home»Refugees»Why Would A Hazara Quit Pakistan? An old Persian saying goes like this: as the lamb worries about its life, the butcher worries about the fat and meat. As the federal Government and the Opposition worry about destroying the people smugglers’ business model and stopping the boats, asylum seekers and the communities they hail from are worried about their lives. Quetta is a small city located in the Pakistani province of Baluchistan, a couple of hours by road from the Afghan border. It is the administrative centre of Baluchistan and a second home to hundreds of thousands of Afghan refugees who have settled in the city following the 1979 Soviet invasion of Afghanistan and the subsequent outbreak of the Afghan civil war. 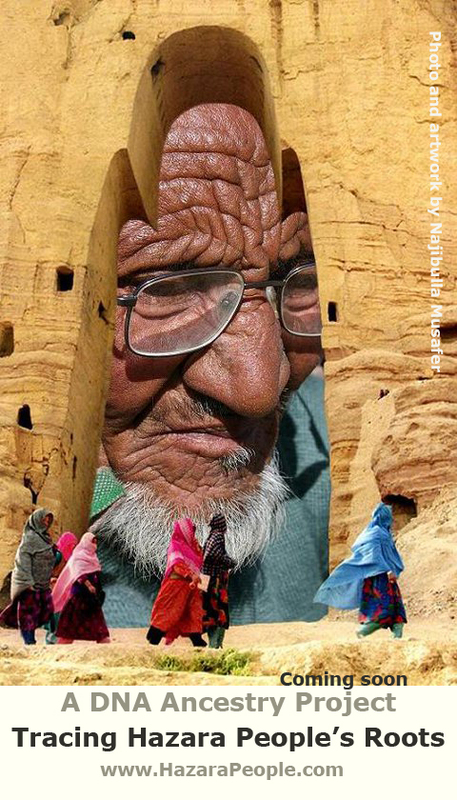 Among them are tens of thousands of Hazaras, adding to an older community that arrived there a century earlier after the invasion of the Hazara homeland in Afghanistan’s central highlands by Amir Abdur Rehman, known in the British Empire as Afghanistan’s Iron Amir. The Hazaras adhere to the Shiite branch of Islam, distinct from the Sunni Islam, by far Islam’s largest sect. Quetta’s Hazara population is divided between two township slums in the east and west of the city. Many in the community own small shops, others depend on remittances from Iran, the Gulf States, Europe and Australia. Most families are divided across many political borders with relatives living in Iran, Pakistan, Afghanistan and elsewhere. Some of these people live legally, some have been able to obtain UNHCR refugee cards, but most have to make regular payments to local authorities and the police to avoid incarceration and deportation. This community has become the target of killings and massacres and its members have been forced to flee for their lives. “We have lost more than 500 people in sectarian attacks on our community. 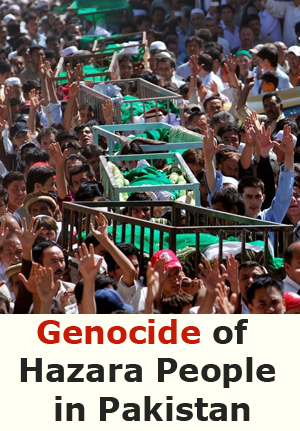 Every ethnic Hazara family has been affected, directly or indirectly, by the violence against them. Everybody has lost a relative or a friend or a neighbour,” Mirza Azad, a member of a local NGO Tanzeem Nasle-Nau Hazara, told Pakistan’s English daily paper, Dawn, in June. In the three months since then, things have gotten worse for the Hazara community. Day after day armed assailants kill Hazara businessmen, politicians, laborers, clerics, vegetable vendors, students, children playing soccer and so on. Over the weekend, armed assailants stopped a van full of passengers on the outskirts of Quetta, segregated Hazara passengers and summarily executed three men and injured three others including a child. This incident came mere four days after a passenger coach travelling to Iran was stopped outside Quetta. Only Hazara passengers taken out, lined up and shot. At least 26 were killed and six injured with the youngest victim only 13 years old. Two weeks earlier, as Muslims around the world celebrated the end of Ramadan, Quetta’s Hazara community were collecting their dead as a car bomb struck Eid prayers, killing at least 12 people and injuring 13 others. In late July armed assailants on motorbikes attacked a passenger van on one of Quetta’s busiest roads killing at least 11 Hazara men and women. On 30 May this year, armed assailants arriving in two cars attacked an early morning game of soccer that killed eight people and injured 15, mostly youngsters out for a morning game. The targeted killing of Hazaras has now spread to other Pakistani cities. 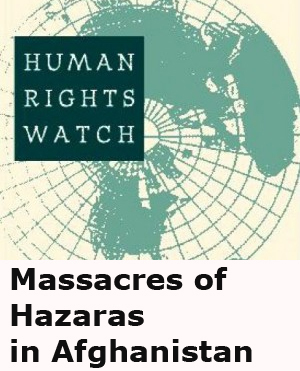 The list of attacks specifically targeting the Hazara community is long. Members of the community, easily distinguishable for their Mongoloid features, bear the brunt of Pakistan’s sectarian violence. Almost every time the killers have got away and each time the Taliban affiliated Pakistan-based sectarian outfit Lashkar-e Jhangvi (LeJ) has claimed responsibility. LeJ has a declared agenda to rid Pakistan of all Shiites, who they consider heretics and liable to be killed. Leaflets distributed by the group have declared Hazaras and Shiite Muslims to be “infidels”. Followers are urged to take “extreme steps”, much like ones carried out by the Taliban in Afghanistan. In very few cases have Pakistani authorities been able to make arrests. Where arrests have been made conviction rates have been very low. Two leaders of the LeJ were able to escape from Quetta’s maximum security prison in 2008. Earlier this month Pakistan’s High Court released a leader of a banned anti-Shiite organisation, who continues to organise public rallies and preach hatred towards the Shiite minority. 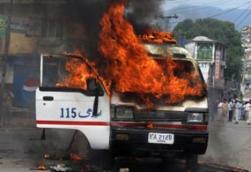 With a lack of basic security and suspected collusion by the authorities, Hazaras feel cut off and besieged. Meanwhile in Afghanistan, Hazaras continue to face discrimination at the hands of the Taliban-led Islamist insurgency as well as elements of the government. Hazara towns and villages have been targeted by government-backed armed nomads, passengers have been kidnapped, looted and slaughtered. 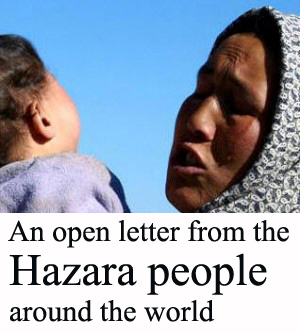 Hazara communities across the country remain at the mercy of Taliban and other Islamic extremist outfits who have in recent years burned down villages, closed and torched schools and forced entire communities into exile. Earlier this week, three Hazara passengers were taken off a van in Ghazni, slaughtered and their bodies thrown on to the road. The Taliban has blockaded Hazara districts of Jaghori and Qarabagh from the country’s main highway and the main cities, leaving the communities in a state of effective siege for the better part of the last three years. Armed incursions into Hazara villages in Ghazni’s Nahur district earlier this year left 26 villages burned and dozens of villagers killed. This followed the burning of dozens of villages in the same area and the forced relocation of hundreds of villages in the neighboring Wardak province mere weeks earlier. 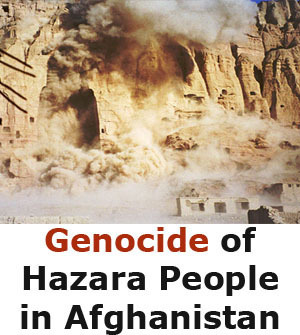 Hazara communities in Afghanistan and Pakistan fear a return to the dark days of the 1990s and 2000/2001 when the Taliban set out to massacre entire Hazara towns and villages in central Afghanistan and the north. Afghanistan’s central government is weak and itself insecure. There’s similar government incapacity in Pakistan. Under such conditions, communities at risk have no one to look to for security — and some flee to Western countries such as Australia in search of safety and security. The Australian Government and Opposition appear to be in a race to the bottom to decide who can treat asylum seekers more harshly. What gets left out of the debate too often is the fact that these asylum seekers are, undeniably, in many cases escaping certain death. Instead of changing Australian immigrations laws to send asylum seekers offshore, the Government should lead the rest of us in a show of compassion toward people like the Hazaras, who are in desperate need. Australia can and should listen to the stories of these people rather than making them a footnote to a dry, dull and uncompassionate narrative that is currently a feature of the parliamentary Question Time.